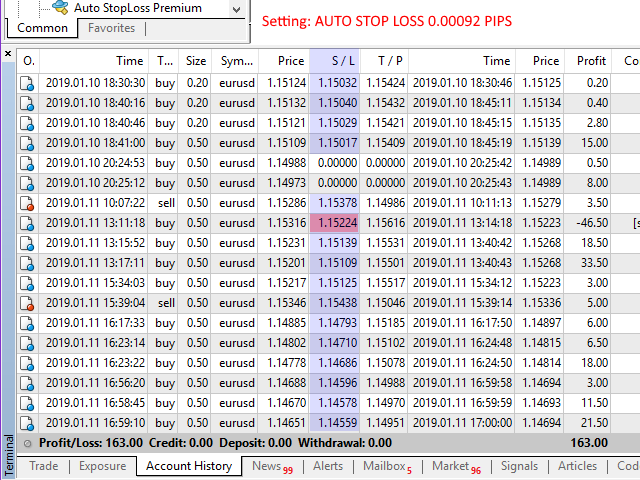 While you are trading, Auto StopLoss Premium doing all the routine work. The Utilite automatically adds a stop loss to open and pending orders that have no stoploss set. Also adds a take profit. Work with all type order include "Buy Stop Limit" and "Sell Stop Limit"